EndCaptcha is a Data Entry Company that focuses on fast and reliable conversion of Images to Text and general digitization. Any use of the service for activities that are deemed illegal is strictly prohibited. EndCaptcha is not responsible for the actions of its clients. 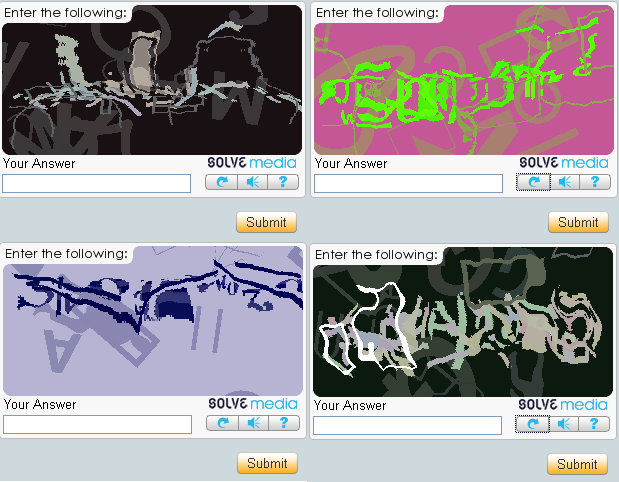 Any complaint about any particular EndCaptcha client should be reported to abuse@endcaptcha.com. EndCaptcha reserves the right to suspend its clients' account if, through an abuse@endcaptcha.com report, gets hold of undeniable proof that the client is engaging in illicit activities. EndCaptcha reserves the right to change at any time its Terms of Service, prices of packages, Service Level Agreement conditions and compensation, and Unsupported Images without prior notice. All accounts created in EndCaptcha remain as sole property of EndCaptcha, and its parent company. Sharing account details, selling and reselling accounts, and selling awarded coupons is prohibited. Violation of this policy will result in account suspension. Even though customers may submit Unsupported Images, and EndCaptcha will do it’s best effort to solve said images in a timely fashion, the Service Level Agreement won't cover any Unsupported Images and won't be available during dates included in the Maintenance and Holidays Calendar. EndCaptcha reserves the right to include Unsupported Images at any time without previous notice. Additional information about the types of insurances provided in the Service Level Agreement may be found here. Any fulfilled claims for chargebacks before consulting our helpdesk will result in an immediate suspension of the clients account and appropriate legal action (fraud). - The client is unsatisfied with the results obtained when submitting Unsupported Images. - The client has partially used the service and has no use for remaining balance in the client's account. - The client was unaware of any explicitly written service constraints before making a purchase. If a refund is awarded, the client will receive funds equivalent to the remaining credit balance in the client's account. Although we will try our best to keep maintenance and undercapacity occurrences to a minimum, there will be rare occasions in which these events will be unavoidable, and thus not covered by the Insurances of our Service Level Agreement. The Maintenance and Holidays Calendar will show the foreseeable events of diminished Quality of Service. The following images can be solved by our team of workers, but are not insured by the Slowness Insurance. These images are usually unreadable, math problems, or have a lengthy amount of characters. EndCaptcha offers a unique Service Level Agreement that compensates its users when there is a drop in Quality Standards. Users will be compensated with Compensatory Credits, which will be deposited once the currently used Credit Package has been consumed. The amount of Compensatory Credits will be calculated depending on the type of Insurance and the Compensation Coverage Level of the currently used package. Compensatory Credits, Promotional Credits, and Free Credits won't be subject to the terms of the Service Level Agreement and its insurances. The user will be given a Slowness Insurance and an Outage Insurance. These types of insurances will provide compensation to users whenever certain Quality Standards are not met. There will be different Compensation Coverage Levels depending on what Credit Package was bought. The amount of Compensatory Credits will be the result of multiplying the Compensation Coverage Level percentage with the amount of quantifiable times the Quality Standards are not met. *Approximately 70% of all images are decoded with-in 7-8 seconds on average. The remainder is also guaranteed to be decoded with-in 11 seconds max. For any images that take longer than 11 seconds to solve, our slowness insurance policies kick in. The Slowness Insurance will provide compensation to EndCaptcha users for images that are getting typed in more than 11 seconds. The compensation will be calculated on an Image-by-image basis. The Slowness Insurance won't cover Unsupported Images, and is not applicable during the time ranges included in the Maintenance and Holidays Calendar. The Outage Insurance will provide compensation to EndCaptcha users when the service suffers from an unexpected outage that renders the service partially or completely unresponsive. The Outage Insurance will only cover cases of registered server problems on EndCaptcha's side, it will not cover issues in the user's side or connectivity problems between the user and EndCaptcha. The Outage Insurance will only compensate credits in accordance with the usual activity of the users during the event. The usual activity of the user will be determined by the average past submissions made by the user during the weekday and time of the outage event. The Outage Insurance will be evaluated on a case by case basis whenever the user opens an outage claim at outage@endcaptcha.com. For outage claims to be valid, they have to be opened with-in 72 hours of the outage occurring. The Outage Insurance is not applicable during the Maintenance time ranges included in the Maintenance and Holidays Calendar, which have been announced a minimum of 12 hours in advance. The Outage Insurance is not applicable when deliberate attacks to our service are made. 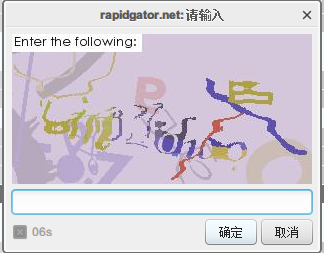 EndCaptcha reserves the right to change its Service Level Agreement without prior notice.